Born and raised in Vancouver, thirteen-year-old Aya Shimamura is released from a Canadian internment camp only to be repatriated to Japan with her father, who was faced with an unsettling choice: move east of the Rocky Mountains or go back to Japan. With no hope of restitution and grieving the loss of Aya's mother during internment, her father feels there's nothing left for them in Canada and signs a form that enables the government to deport him. But life in Tokyo is not much better. Aya's father struggles to find work, compromising his morals and toiling long hours. Aya, meanwhile, is something of a pariah at her school, bullied for being foreign and paralyzed when asked to communicate in Japanese. Aya's alienation is eventually mitigated by one of her principal tormentors, a willful girl named Fumi Tanaka, whose older sister has mysteriously disappeared. 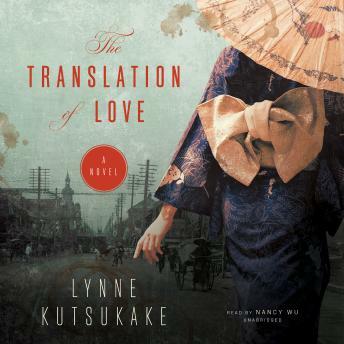 When a rumor surfaces that Douglas MacArthur, who is overseeing the Allied occupation of Japan, sometimes helps citizens in need, Fumi enlists Aya to compose a letter asking the general to find her beloved sister. The letter is delivered into the reluctant hands of Corporal Matt Matsumoto, a Japanese-American serving with the Allied forces, whose endless job is translating the thousands of letters MacArthur receives each week. Matt feels an affinity toward Fumi but is largely powerless, and the girls decide to take matters into their own hands, venturing into the dark and dangerous world of Tokyo's red-light district. Told through rich, interlocking storylines, The Translation of Love mines a turbulent period to show how war irrevocably shapes the lives of the conquered-and yet the novel also allows for a poignant spark of resilience, friendship, and love that translates across cultures and borders to stunning effect.